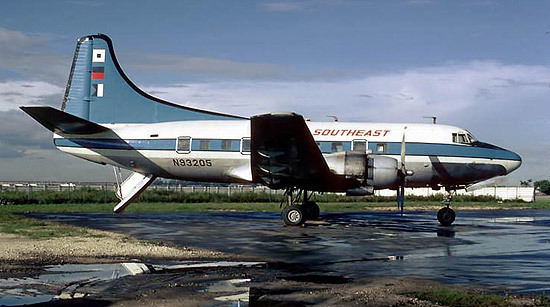 Originally known as Cat Cay Airlines, Southeast operated a wide variety of aircraft between Miami and the Keys during the 1960s and 1970s. The airline shut down in 1976, although it returned a few years later with flights to the West Indies using jet aircraft. 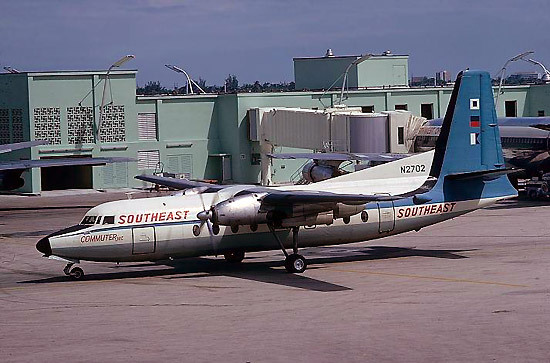 F-27 N2702 (msn 5) at Miami in the early 1970s. Southeast was one of the last operators of the Martin 202. N93205 (msn 14075) is pictured in 1972. Here's a detail of a Southeast Airlines ticket jacket from 1972 showing the ventral airstairs of the Martin 404. The Martin 404 was the primary aircraft type flown by Southeast. N40424 is seen at Miami in its final paint scheme. 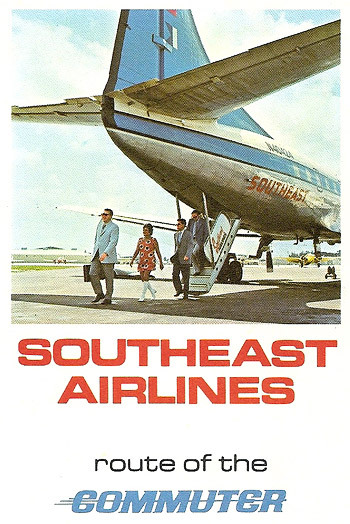 Both sides of a Southeast Airlines timetable dated September 8, 1975. 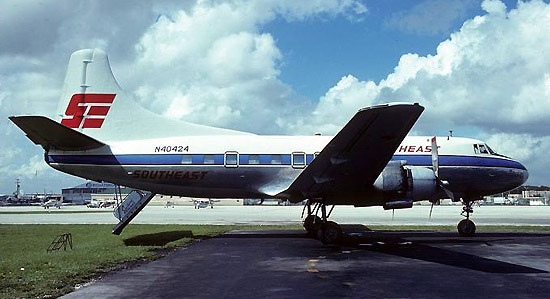 By that time Air Sunshine was flying DC-3s between Miami and the Keys, prompting Southeast to emphasize that their aircraft were air conditioned, pressurized and radar-equipped.